Each day we wake up, we are grateful for each other and this life. We utilized a wedding and honeymoon planner through The Four Seasons mostly because we were doing our planning from 5,730 miles away in Chicago and needed a little help with logistics. Aurelie was a dream to work with. She fine-tuned all the details for us from tracking down a missing piece of luggage to picking out flowers to making restaurant reservations, designing our cake, arranging the ceremony and hiring our photographer. She took care of it all and threw in a lot of unexpected extras and upgrades. For example, we adored our overwater bungalow that Aurelie so graciously up-graded without our requesting she do so. The Four Seasons is great about making a fuss over their guests going above and beyond expectations. Two of the treasured features of our grass-hut were the windows in the floor for gazing into the ocean and the bathtub that overlooked Mt. Otemanu. 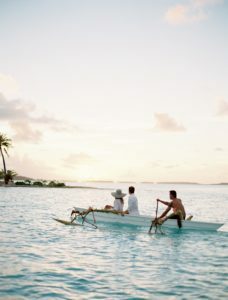 We chose this island to celebrate our marriage and to do absolutely nothing afterward, and that’s exactly what we did – a whole lot of nothing. Over the course of a week, we rented a pontoon and trolled the ocean for places to snorkel, swam with stingrays, enjoyed a couple’s massage and worked out each day. Aside from the aesthetically pleasing views and round-the-clock pampering, there are a few really great locations for fine dining. We took a boat to Moorea for a date night at La Villa Mahana, one of the most intimate, fine dining experiences in the South Pacific. We highly recommend it. Other great restaurants include Arii Moana at the Four Seasons and Lagoon by Jean-Georges at The St. Regis. Lagoon is a difficult reservation to secure, so use your credit card concierge and try to score it well it advance of when you plan to travel. Also important to note that to get to these fine dining spots, boat transportation is required. 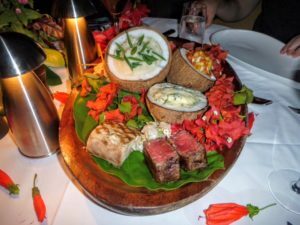 The cuisine on the island is fresh with unique flavors and a bent towards French-Chinese fusion incorporating flavors of coconut & banana leaves enveloping some of the freshest fish and fruit you’ll ever have. Some dishes are reminiscent of a Hong Kong style cuisine that has morphed into Tahitian cuisine. For us, the enjoyment is discovering new flavors and exploring ingredient combinations from unique regions of the world. 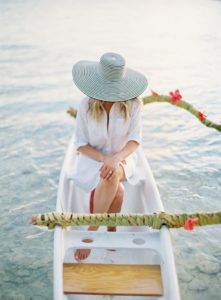 In some cases, and prepared in advance, the restaurants will allow guests to create their own custom tasting menu with a table set up oceanside and no other diners around – it’s very intimate and beautiful watching the sun go down enjoying fresh fish with a glass of wine, all alone with the one you love! 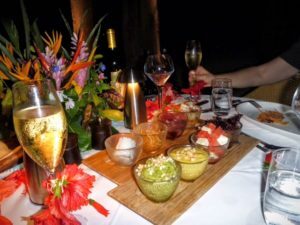 This was the route we went with Arii Moana and the food was scrumptious – every bite flavorful and tender! Just as a the trip was starting to wind down and all the magic of the journey had played out (or so we thought), we received an interesting call from Aurelie. Two days following our ceremony on the island, we were hanging out eating leftover cake, sipping Bushwackers on our deck when Aurelie called our bungalow. The phone rang and I hesitantly answered as it’s not like we were expecting any phone calls in the middle of a day earmarked for doing absolutely nothing. I pull out my iPhone and start googling – as in THE Jose Villa, the most sought after guy in the world? Guy from California? No way. Excitement is welling up, I already know my answer. The rum from the Bushwackers is starting to wear off. What did she just ask me? Is this actually happening or am I dreaming? I remembered passing a group of people who were somewhat out of place on our wedding night. They were just conveniently close to where we were taking photographs with our hired photographer and they were clapping and extremely supportive as we passed by. We figured they were just sweet and probably a little buzzed. Apparently they were the production crew for this project there scoping things out. Ha ha, okay. I put down the phone with a smirk on my face and explain the proposition to Brandon. He smiles and gives the affirmative head nod. “We’re in!” I agree to the shoot then go back to doing absolutely nothing on the back deck. Jose: Where was the engagement? Us: Pont Des Arts over The Seine River in Paris! 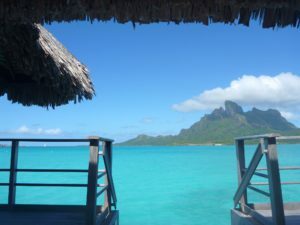 Jose: Why did you choose Bora Bora for your wedding and honeymoon? Cortnie: Why did you bring so many workout clothes? Us: Because we like to eat and it’s the only way we won’t rapidly expand from our constant grazing. Me to Jose: What are your plans for this shoot? 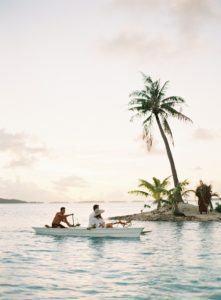 Jose: I have a vision involving a couple in a canoe at sunset – shows us a picture on his iPhone. Endless questions for very good reason. Jose conducts detailed workshops and we were in the midst of living one in real time, unplanned and unexpected which added a layer of beauty to the photos – we didn’t have time to overthink anything! Part of the magic in Jose’s photography is bringing out who his subjects genuinely are – getting them (us) to leave it all on camera. He’s poetic – a true artist in motion. When you’re shooting with Jose, you forget you are on camera, so your body language finds its natural ebb and flow and you move naturally with the scenery while your heart bubbles up through your eyes and face. This is his secret weapon – getting his subjects to relax and feel the moment then he snaps the camera and that split second glimpse of authentic beauty is trapped on film. It’s brilliant! 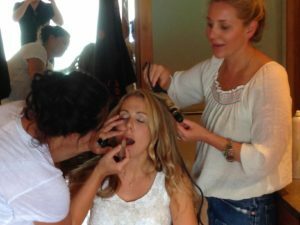 Cortnie and Summer were thumbing through our closet as they presented question after question and they pieced together a wardrobe between their closet and ours – all I had were swimsuits, yoga pants and a wedding dress. Cortnie put me in her sheer swimsuit coverup with Summer’s hat. They put Brandon in his tuxedo shirt and rolled up the sleeves. They spent about 45 min doing my hair and makeup (cracking up the entire time! None of us had an eyebrow pencil, so we used black eyeliner on my eyebrows! Whoops! It actually worked). Finally the concierge showed up with a couple of golf carts and whisked us all off to the beach. Jose and Joel hopped onto the back of jet skis and we boarded a canoe and were paddled off to an island. Jose directed the shoot guiding us through each pose he wished to capture. The jet skies circled the canoe snapping pictures as the sun began to set. It was surreal – so romantic. A crowd began to gather on the shore. We were in the midst of a legit photo shoot and we loved every second of it! The weather cooperated and the photos turned our ethereal. Four Seasons and Jose graciously gifted the entire package to us. Joel put together a beautiful video designed to look 1960’s. 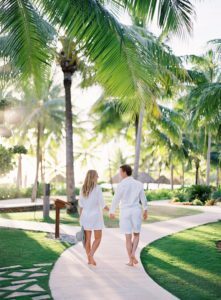 The shoot was published electronically in several places including: The Venue Report, Four Seasons Electronic Magazine, Style Me Pretty, Ever After Honeymoons, Grey Likes Weddings, Four Seasons Bora Bora , The Four Seasons Hotel & countless other boutique, luxury travel and wedding sites. These photos are timeless as the most special, generous gift to memorialize our wedding and honeymoon! 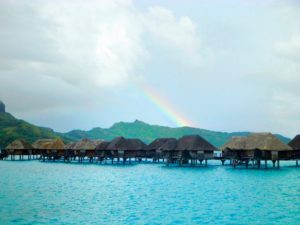 The very few aspects that were not manufactured about Bora Bora include the exchange of our wedding vows and the genuine joy on our faces and love in our hearts that Jose and Joel so gracefully captured on film. Check out Jose’s portfolio here – after all, he’s one of the best, if not THE best photographer in the world. Jose and his husband Joel (incredible videographer) hold international workshops for those who want to take their photography to the next level – definitely worth checking out. We learned a great deal about photography just by being the subjects of this project – Jose is an excellent teacher, cutting edge and innovative. Wondering where to celebrate? Check out The Venue Report’s endless suggestions here. 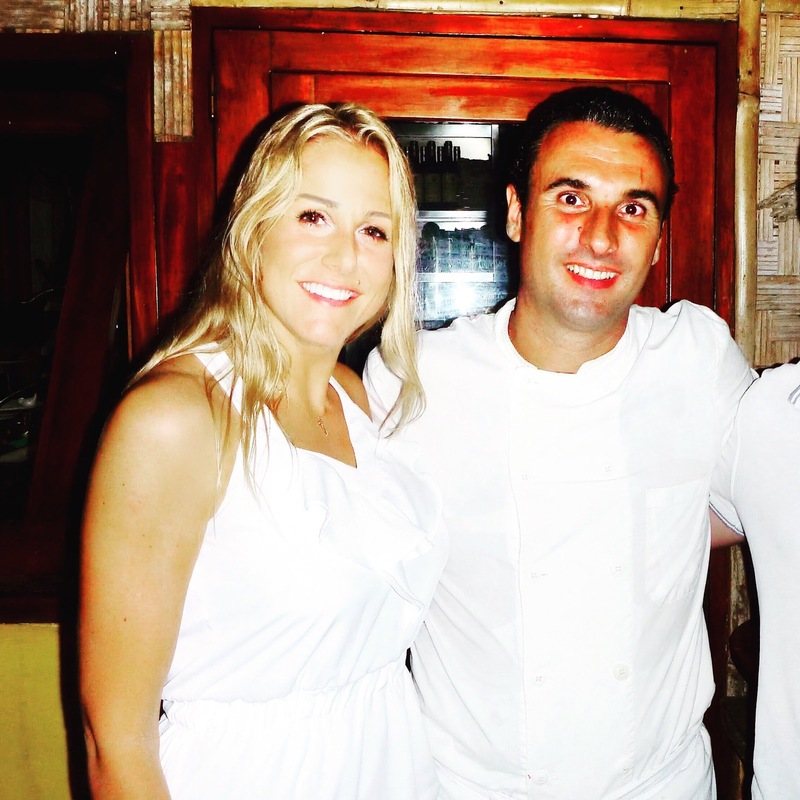 To this day, the only reason we have an Instagram account is because of this ordeal on the island and we’ve since kept it going from our involvement with The World’s 50 Best Restaurants. We are forever grateful as we celebrate our third wedding anniversary! Watching Jose and this team flourish since our time together in 2014 is entirely heartwarming! Jose has since photographed the co-founder of Instagram, Kevin Systrom’s wedding, along with Orange is the New Black cast member, Samira Wiley’s wedding & Hillary Clinton during her presidential campaign in Denver. Seeing Jose’s images featured in Vogue Magazine just makes our time with him that much more dear to us – what a opportunity of a lifetime we had back on that island. This lengthy memoir just to say that on our anniversary, we’re raising a glass to love, compassion, success and generosity! Message to our readers: Don’t wait for something magical to happen, chose the current moment and make it magical. 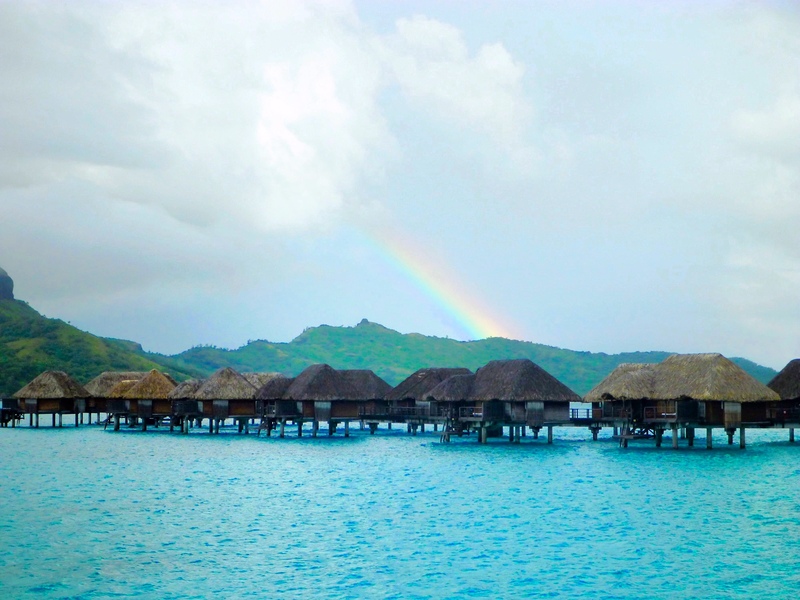 Bora Bora was an unforgettable experience that we equate to simply being in the right place at the right time. 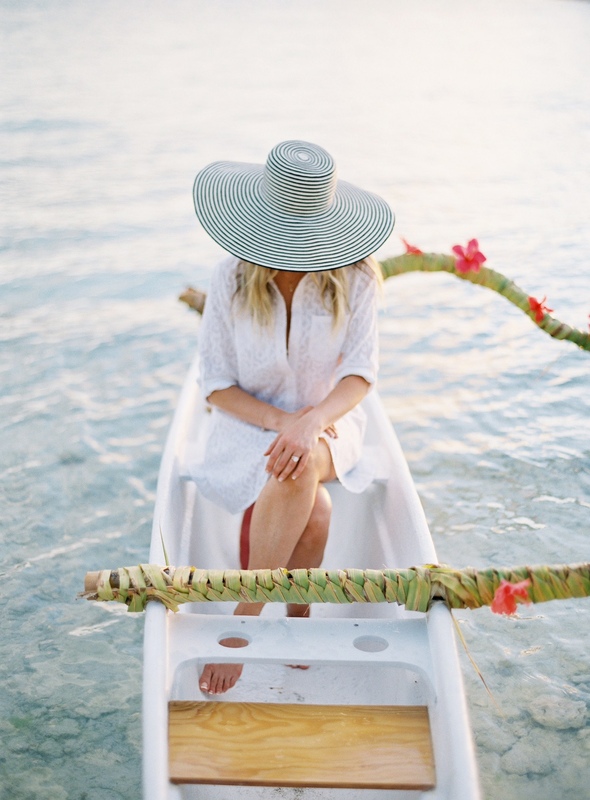 It was an honor to model for Jose Villa and Four Seasons Bora Bora in an off-the-cuff shoot celebrating the happiest of occasions (our wedding & honeymoon) in the South Pacific. Thanks for reading! 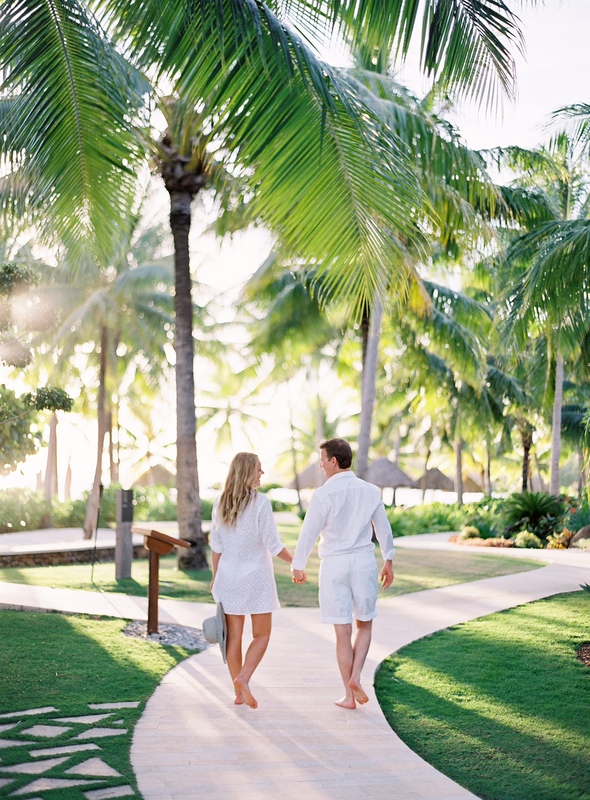 Should you have questions about planning a destination engagement, wedding or honeymoon, or if you need advice about Polynesian cuisine, please leave a comment or contact us by email. Africa, Australia, North America, South America, Europe. Previous Previous post: 72 Hours in Melbourne : Where to Eat! Such an experience with Jose Villa. Experience of a lifetime to be his model. Cheers. We are grateful everyday. Thank you. It worked really well for me to reference your guide. Valuable information. Fortunate for me I discovered your website by chance, and I’m shocked why this twist of fate did not take place earlier! I bookmarked it. site and see you’ve been around a while.